Skin care is one of the most valuable ways you can maintain a healthy, youthful complexion. Whether you want to preserve your skin or repair damage, our board-certified plastic surgeon and our staff can create a customized treatment plan and skincare regimen to help you put your best face forward. We offer a large variety of effective, medical-grade products to help you achieve radiant skin you will feel proud to reveal. 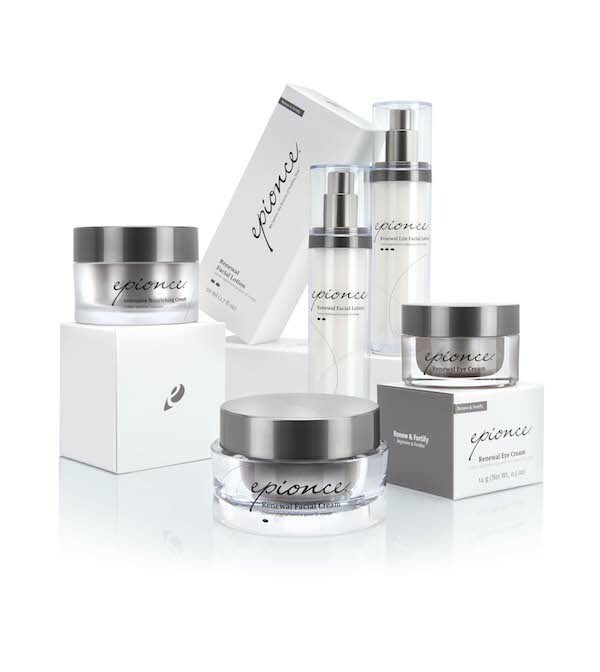 Epionce® is an advanced, research-based line of skin care products created by clinical dermatologist, Dr. Carl Thornfeldt. This product line was designed with 20 years of compiled clinical skin research and uses scientific evidence, as well as botanical ingredients, to optimize the health and appearance of aging or damaged skin. Epionce® avoids harsh skin irritants in its formulation, instead utilizing antioxidants and other natural extracts that are free of paraben, sulfate, gluten, and fragrances. This is why patients who implement Epionce® into their skin care routine can reduce fine lines, wrinkles, sun damage, hyperpigmentation, and an array of other skin concerns without experiencing dryness or inflammation. Dr. Miller offers a wide range of Epionce® products at Miller Cosmetic Surgery to ensure all patients can find an effective solution to their unique skin care needs. Follow the links below to learn more about each product. The Gentle Foaming Cleanser is designed for most skin types and can remove dirt, debris, and makeup while leaving behind the natural oils that shield the skin. The result is a refreshed, clean feeling without sensations of tightness and dryness. Use the Gentle Foaming Cleanser daily to rid the skin of the surface impurities that can cause blemishes. As a NewBeauty® Award winner, this product can be essential for oily or “problem skin.” It is designed to provide a smoother and healthier complexion by ridding the skin of dirt, debris, makeup, and other impurities without causing irritation or dryness. The cleanser also takes care to avoid removing the natural oils in the skin. Lite Lytic Tx is ideal for particularly sensitive skin, including infant and elderly skin. This gentle-strength product is designed to improve the skin texture, clear pores, and generally enhance the appearance of imperfections in your complexion. Daily treatment can help reduce redness and irritation in sensitive skin. Lytic Tx is a more moderate-strength treatment that can smooth the texture and reduce imperfections in sensitive skin, such as redness, irritation, clogged pores, and blemishes. When used with Epionce® Renewal products for the face, Lytic Tx can minimize the appearance of aging skin. As a maximum-strength skin product, Lytic Sport Tx can cleanse pores, reduce imperfections, and enhance the tone and texture of the skin. This treatment was formulated with a special low-lipid composition, making it perfect for humid conditions and for patients who lead an athletic lifestyle. The Intense Defense Serum provides complete renewal of aging skin with an advanced multivitamin formula. Utilizing botanical sources of Vitamins A, B, C, D, and E, this serum is clinically proven to improve signs of facial aging better than leading professional skin products. Key ingredients include extracts of flax seed, yarrow, spanish needle, cotton seed oil, and raspberry seed oil, among other natural botanicals. This formulation can hydrate and calm the skin while noticeably reducing fine lines and wrinkles, often resulting in the appearance of more youthful and healthier-looking skin. The Renewal Facial Lotion is made using the extracts of meadowfoam, apple fruit, avocado oil, flax seed, and lavender, among many other natural ingredients. With an ultra light-weight formulation, this product is designed to reverse signs of aging while achieving healthier-looking skin for a more radiant glow. Renewal Lite Facial Lotion can benefit patients with oilier skin types, helping to clear and hydrate dull skin. Designed to treat the delicate areas around the eyes, Renewal Eye Cream can smooth fine lines and wrinkles as well as improve the appearance of dark circles. This serum can be used in complement with eye makeup, allowing patients to look younger and more refreshed throughout the day. The Intensive Nourishing Cream can provide comprehensive hydration for patients with damaged or photoaged skin. Best utilized as a night cream, this advanced moisturizing serum also has the ability to soften the appearance of fine lines and wrinkles. Recommended by the Skin Cancer Foundation, this powerful, water-resistant sunscreen is designed for all skin types and tones, including sensitive skin. As an everyday sunscreen applied alone or under makeup, the Daily Shield Lotion Tinted SPF 50 can offer the ultimate UV ray protection while providing a subtle and natural glow. This high-quality sunscreen was awarded “Best Under Makeup” by the Shape Magazine 2017 Sun Awards. 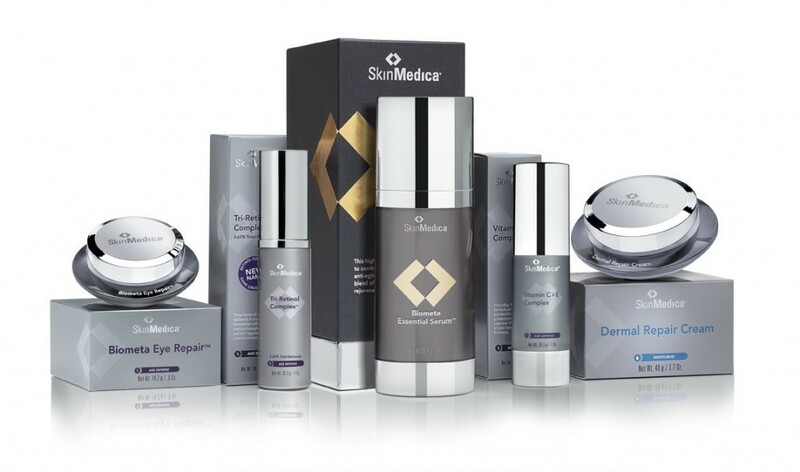 Products in Allergan’s SkinMedica® line have provided our patients with dramatically improved skin results. Offering such a large collection, the company allows us to help patients unhappy with a variety of dermal concerns successfully improve their appearance so they look and feel beautiful. From lines and wrinkles to uneven skin tone and texture, SkinMedica® can help patients with varying needs achieve their cosmetic goals. TNS Essential Serum® is an all-in-one product that has won awards for its ability to rejuvenate skin. It uses a patented formula that combines growth factors and seven potent antioxidants, causing your body to use its own abilities to rejuvenate itself. This serum can effectively restore youthful-looking skin by reducing the appearance of fine lines and wrinkles, enhancing skin tone and texture, and improving age spots and discoloration. The dual chamber product combines TNS Recovery Complex® on one side and APS Corrective Complex on the other. We recommend using this serum twice daily to effectively minimize visible signs of aging. The TNS Recovery Complex® by SkinMedica® is the first and only patented rejuvenating treatment. It contains a high level of growth factors, which enhances the skin by promoting its natural ability to rejuvenate itself. As a result, our patients have seen healthier, younger-looking skin. The product plays a key role in an anti-aging skincare regimen, as it can effectively improve fine lines, wrinkles, tone, and texture. Retinol Complex 0.5 provides a more concentrated formula to enhance the tone and texture of your skin. The cream can be applied on the face, neck, and chest to combat the effects of aging and create more resilient skin. We recommend using this at night after using a cleanser and toner to achieve optimal anti-aging results. The exfoliating cleanser by SkinMedica® works great for all skin types as part of a regular skincare regimen. The product provides a mild exfoliation effect by removing dead skin and cleaning pores. This revives dull, dry skin, helps smooth skin texture, and evens its overall tone. This foaming cleanser hydrates and refreshes skin by removing oil, dirt, and excess makeup. Rather than using harsh detergents, it cleans the skin with hydrating emollients, botanical extracts, and soothing agents. We recommend using the SkinMedica® Facial Cleanser as a part of your everyday skincare routine for best results. By using this lightweight moisturizer, you can hydrate and improve your overall skin appearance. As a non-comedogenic product, the Ultra Sheer Moisturizer works well for even the most sensitive skin. Its formula is composed of vitamins C and E, as well as hyaluronic acid – a highly effective ingredient that helps hydrate oil-prone and sensitive skin. This broad spectrum sunscreen goes beyond protecting your skin from the sun’s harmful UVA and UVB rays. Composed of a SOL-IR™ Advanced Antioxidant Complex, it also shields you from infrared (IR-A) rays while helping replenish your skin to prevent premature signs of aging. In addition, TOTAL DEFENSE + REPAIR has been clinically proven to rejuvenate skin and improve the skin’s overall health and appearance. We recommend you apply the SPF 50+ or the SPF 34 Tinted formula every morning and reapply it every two hours (or as needed). If you have any questions, or would like to schedule a skin care consultation with our Esthetician, please contact us today.